February, 2014 – Puebla, Mexico – with Dr. Stanley Krippner, and friends. Les compartimos frases de los ponentes que estuvieron con nosotros en el congreso de ConSCiencia 2014. (You need to know that secret phrase is: Admiral B*rd - replace the " * " : with a " y "
Engineering, and graduate student Jie Feng observe bubbles in a tank. 7. Water structure controversy laid to rest? + He thinks Hillary will not be elected; "she is not in jail, because she is dying"
+ There maybe a slime mold spreading - by chemtrails perhaps, "from Galactic center"? "it is a time for a League of Concerned scientists to come forward"
Dr. Richard Alan Miller is our guest and we discuss everything from time-travel, Nibiru, GMOs, the election, the space elevator and life after death...this is one of the best conversations we've had with Dr. RAM...and then we even take a few phone calls...he is the best. "They cannot be human... mostly nonsense... but there are some things that work"
"In Voodoo the demons cannot get you, but they can cause you to get yourself...through what you want"
A delayed but very very important interview with Dr Richard Alan Miller, An ex Navy Seals Trainer. Rick talks about working with “The Boys from Brazil” in his early days with Navy Intel, why he quit the service, his visit to the Secret Nazi underground submarine base in Antarctica, the coming dramatic Earth changes, and his work with the President of Mexico teaching thousands of schoolchildren to grow organic food. He also talks about his forthcoming book Spook Central, and his work with Dr. Carl Schleicher (aka “the Smoking Man” from X-Files) This is one interview not to be missed! Please also visit our online store at newdimensionstv.com, where you can see more of our truth warriors, many of which have produced some very very interesting digital downloads for sale. New Dimensions TV is proud to support these brave people through our independent Online TV Channel, and our continued fight to get the real news out there. 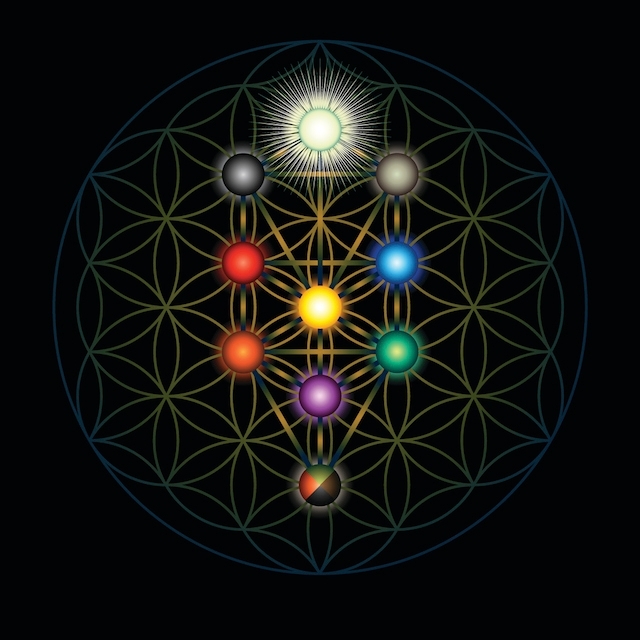 This is a Kabbalistic image but interestingly, the the spheres in the tree overlay the flower of life 'sacred' geometric form and therefore represents a primal pattern of nature. Kabbalah (Hebrew: קַבָּלָה‎‎, literally "receiving/tradition") is an esoteric method, discipline, and school of thought that originated in Judaism. A traditional Kabbalist in Judaism is called a Mekubbal (Hebrew: מְקוּבָּל‎‎). 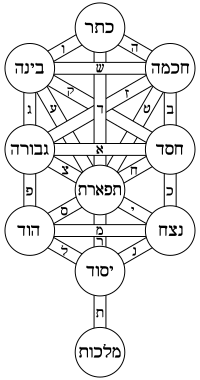 Kabbalah's definition varies according to the tradition and aims of those following it, from its religious origin as an integral part of Judaism, to its later Christian, New Age, and Occultist/western esoteric syncretic adaptations. Kabbalah is a set of esoteric teachings meant to explain the relationship between an unchanging, eternal, and mysterious Ein Sof (infinity) and the mortal and finite universe (God's creation). While it is heavily used by some denominations, it is not a religious denomination in itself. It forms the foundations of mystical religious interpretation. Kabbalah seeks to define the nature of the universe and the human being, the nature and purpose of existence, and various other ontological questions. It also presents methods to aid understanding of the concepts and thereby attain spiritual realisation. In the 2nd and 3rd hour of tonight's show. A favourite of F2F listeners, Dr Richard Alan Miller returns, live, for the stream-of-consciousness range of topics that emerges when James and Richard get together. RICHARD ALAN MILLER : PHYSICS IS THE REAL MAGIC - TONIGHT! I will catch up with Richard Alan Miller and see where things are at with his research and latest book (called the Non-local Mind) as well as his view of the future. + "there was light there... when your eyes adjusted, it was like daylight"
+ "We found remains of Viking ships... where's that in the history books"
+ "Tunnels that went straight down, more than 100 miles"